Imagine running barefoot through a field of your favorite food, being able to savor the taste through your feet but never gaining an ounce. While it sounds like a superpower many of us would like to have, many species of insect can do just that. Taste receptors on the legs and feet provide an efficient way for them to find small bits of food or nectar in their environment. Although butterflies feed primarily on the nectar of flowers, some also feed on fruit juices or sap, using taste buds on their legs -- or tarsi -- to locate small droplets. The taste receptors also help determine a suitable spot for laying eggs. 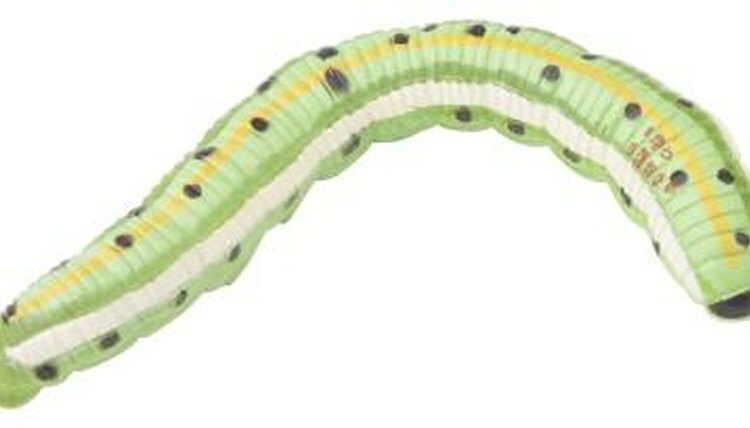 The adult's mouth is like a rolled-up straw, unable to take a bite of a plant to see if it will be suitable for a young caterpillar, so receptors in the tarsi convey that information. When flies show up at the picnic, they crawl rapidly over the table until they discover a bit of food. While receptors on the fly's mouth parts can be used for tasting, taste receptors on the hairs that cover their bodies and legs make a more efficient system for finding bits of edibles than dragging their mouth around. Once the legs indicate something edible, the fly will taste it again with the mouth before consuming it. Tasting hairs on the legs of a roach can not only help it determine a food source, but help it avoid pesticides as well. Glycocides -- poison baits mixed with glucose -- were traditionally used to dose the sweet-loving cockroach with lethal toxins. Some species such as the German brown cockroach have developed a physical aversion to glucose, with chemoreceptors on the legs that determine the bitter taste also firing a "bitter" message when glucose is encountered. If you've ever wondered why some people get "eaten alive" outdoors while others rarely get a mosquito bite, the answer may lie deeper than their choice of repellent. While body smells and carbon dioxide play a role, mosquitoes taste us with their legs to determine whether to have a meal or fly away. People who drink beer and those with O blood type have been determined in laboratory experiments to be two of the mosquitoes' favorite flavors. It is not unusual for an insect to have chemoreceptors for taste on their legs -- or other parts of their bodies. Most frequently the taste receptors are found on small hairs on the body or legs. Bees and wasps have receptors not only on their legs but on their antennae as well. Crickets and locusts have them on their ovipositers and genital segments, and some worms have chemoreceptors on eye spots and earlike structures known as auricles. IO9: Why Do Mosquitoes Bite Some People and Not Others?